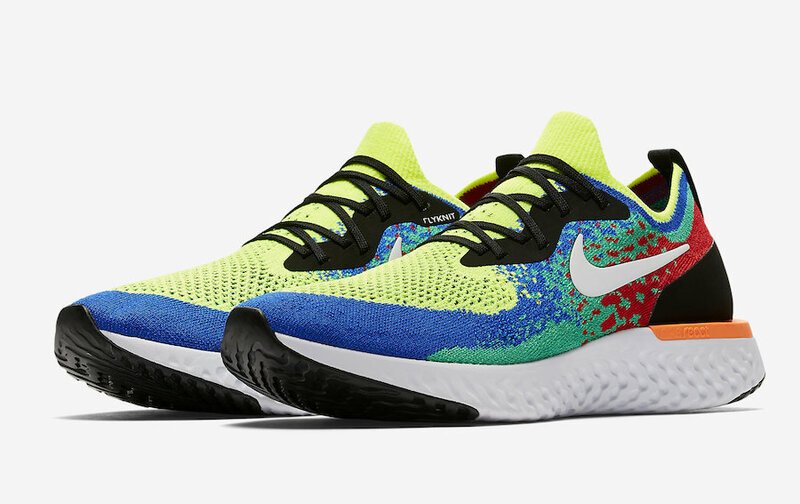 Nike sets to expand their Epic React Flyknit lineup, one of the color options that will be releasing is an extremely-limited multicolored iteration of the silhouette. 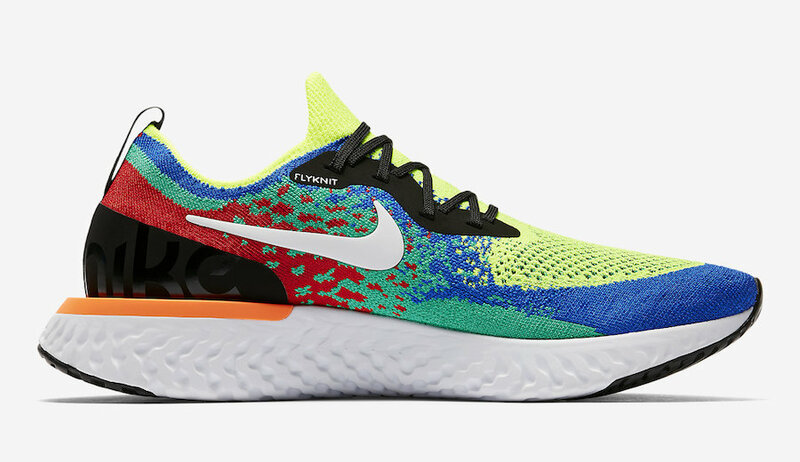 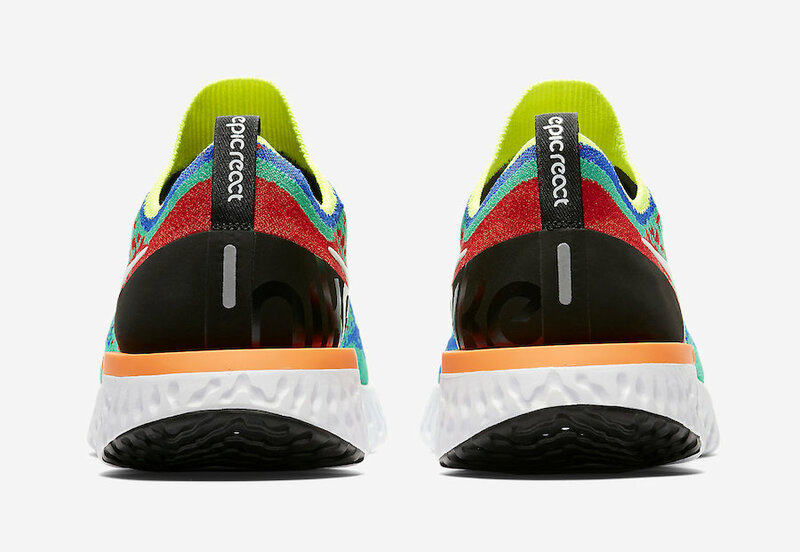 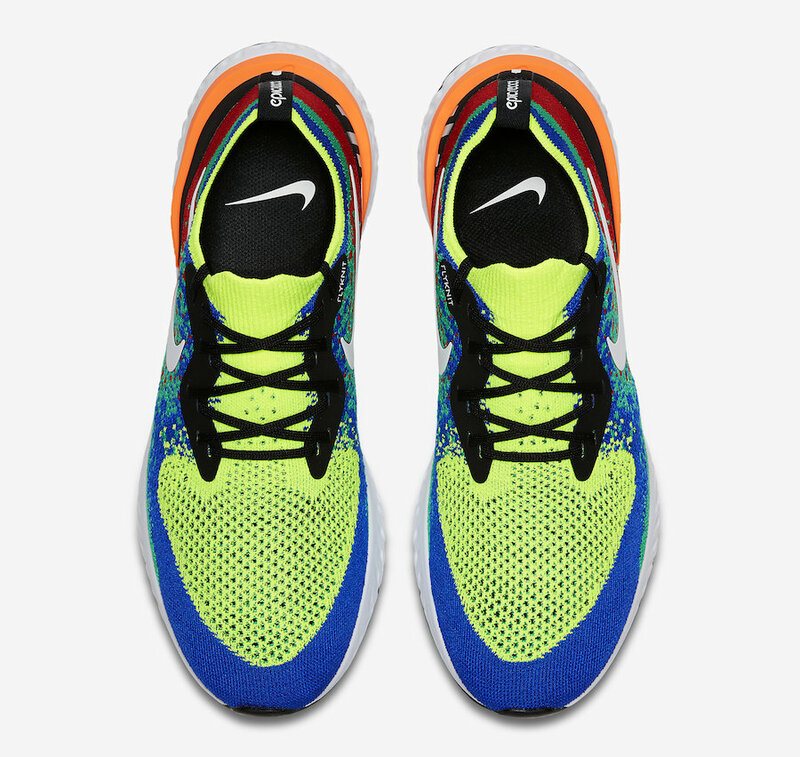 This Nike Epic React Flyknit features a mix of Black, Volt, Blue, Green, Red and Orange color tones throughout its Flyknit upper. 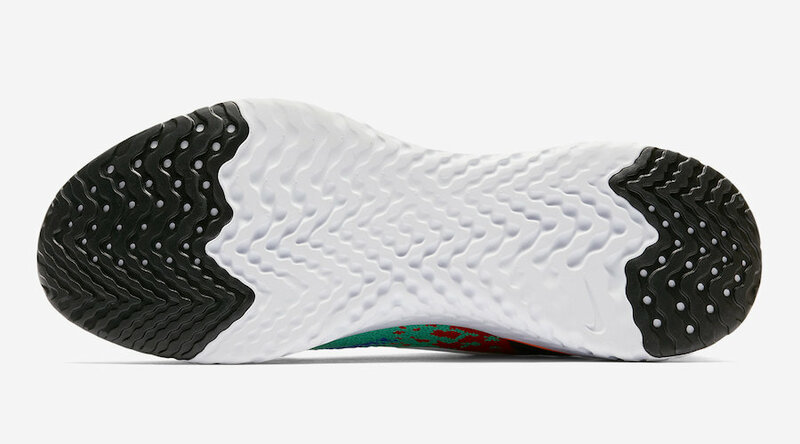 White detailing is seen on the Nike Swoosh logos and React cushioned midsole. 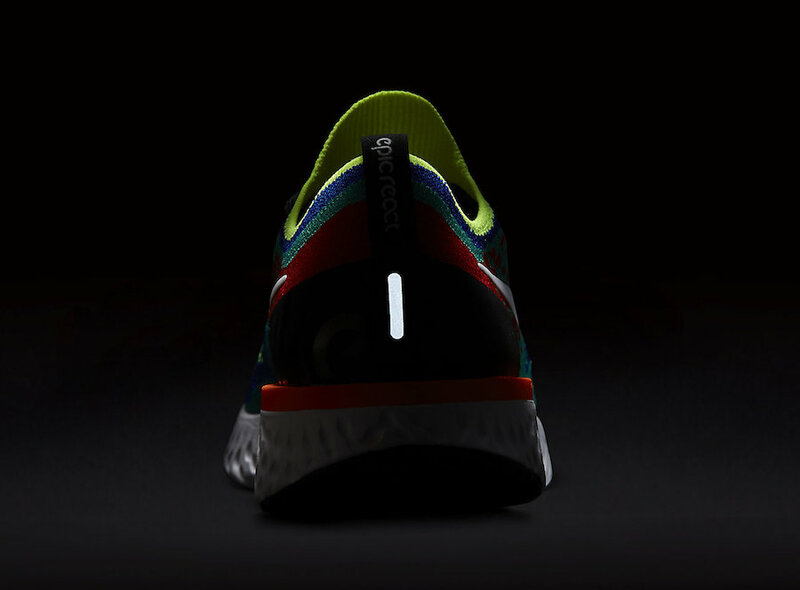 Black is seen on the laces, the lacing system, the heel counter and the heel/toe outsoles. 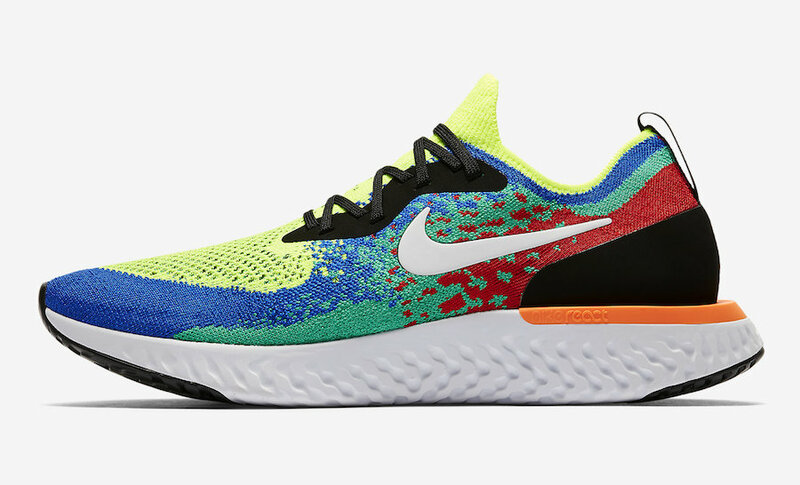 Rumored to be limited to 1,888 pairs, expect the Nike Epic React Flyknit Belgium color way to release later this summer with the retail price tag of $150 USD.